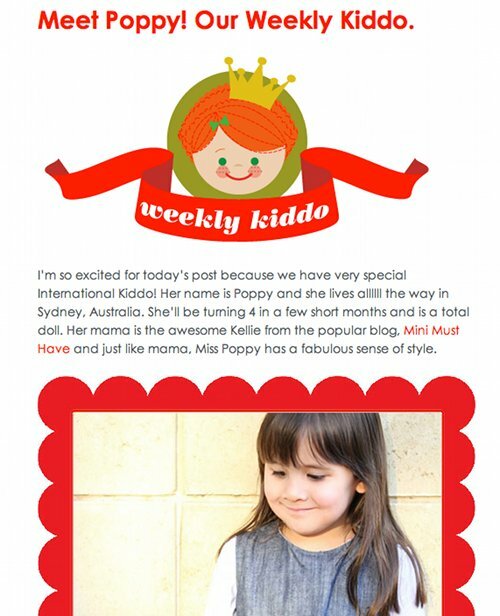 Here's my gorgeous little miss on one of my absolute favourite blogs Modern Kiddo. Unfortunately she has a slight aversion to the camera and will generally manage to contort that gorgeous face of hers into something quite hideous (usually coupled with the phrase "ooooh, no more photos"). Just glad she managed to resist her usual urge to poke her tongue out!